The MC 120 Z PRO mobile jaw crusher MOBICAT is robust and efficient. With an hourly output of up to 650 tons, the MOBICAT MC 120 Z PRO impresses in natural stone applications. The powerful jaw crusher with a feed opening of 1,200 x 800 mm is equipped with an extra long articulated crusher jaw. To guarantee the best possible material flow, the Continuous Feed System CFS adjusts the conveying speed to the fill level of the crusher. In case of material congestion, on most jaw crushing plants the crushing chamber has to be tediously emptied by the operator. The optional crusher unblocking system remedies this situation. If there is material bridging in the jaw crusher, the crusher can be reversed with the help of the electric crusher drive and the blockage can thus be cleared within a short time. The mobile cone crusher from the PRO series, the MCO 11 PRO, which is also being presented, is the perfect secondary crushing plant in combination with the MC 120 Z PRO. The size and output are tuned to one another. The MCO 11 PRO impresses with a maximum hourly output of 470 tons. The mobile impact crusher MR 130 Z EVO2 shows its strengths both in recycling and in natural stone processing. More and more countries, towns and communities are introducing regulations on noise and dust emission. In this area, Kleemann offers two measures packages for the MR 130 Z EVO2 impact crusher that guarantee environmentally sound operation. The newly developed ECO Noise and ECO Dust packages provide considerable improvements. Furthermore, operation of the plant is by means of the intuitive control concept SPECTIVE. The 12 inch touch panel simplifies work as all functions are recognizable at a glance and clear symbols point the way. The complete plant also impresses with an hourly output of up to 450 tons. The mobile jaw crusher MOBICAT MC 110 Z EVO effectively screens fines with its independent vibrating double-deck prescreen. The EVO line is completed with the tried-and-tested machines MOBICAT MC 110 Z EVO and MOBICONE MCO 9 S EVO. Both crushing plants are compact and powerful at the same time and can be combined perfectly. The MCO 9 S EVO also has a secondary screening unit with oversize grain returning. The triple-deck classifying screen MS 953 EVO has a screening surface of 9.5 m² in the upper deck. Just as the crushers, the screening plants in the EVO line can be used flexibly thanks to favourable transport dimensions and short set-up times. These advantages make them the first choice for contract crushing companies and also for pure quarry applications. The MS 953 EVO achieves an hourly output of up to 500 tons. This high output is achieved, above all, thanks to the good material stream through the plant. This starts with the infeed which, thanks to the generously-sized feed hopper, is possible by means of a wheel loader or an upstream crushing plant. The material is conveyed to the screen casing on the extra-wide feeding conveyor of 1.200 mm. 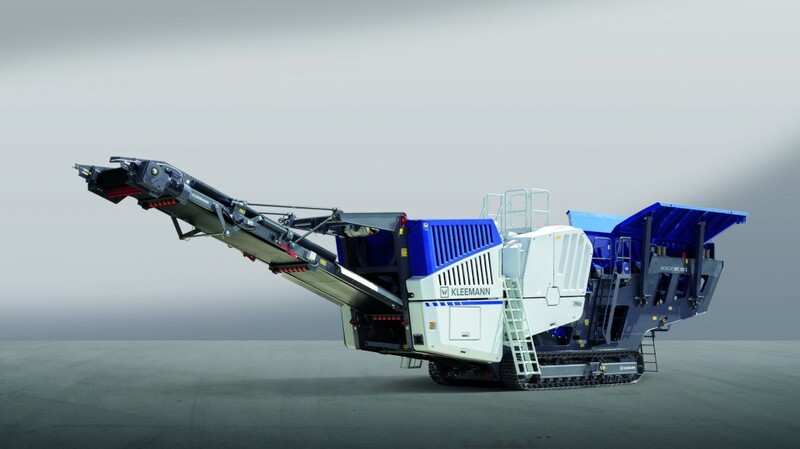 The Kleemann bauma presentation is rounded off by the coarse screening plant MOBISCREEN MS 15 Z. The mobile double-deck screen achieves an hourly output of up to 400 tons. The robustly built screening plant is suitable for feed material with an edge length of up to 400 mm. The MS 15 Z can be used flexibly in equal measure in both natural rock as well as recycling. Loadscan will show their recently launched conveyor volume scanner (CVS) at the NSSGA's AGG1 expo in Indianapolis. This year Loadscan will be showcasing its CVS alongside the well-known load volume scanner (LVS) on 12-14 February 2019 at booth 39063.